Here you can see the power transformer, 6AU6 sockets, and stabilizing lamp sockets. Just below the chassis is a glimpse of the output transformer. Here you can see the output tube sockets, the tubes & lamps sorted out below. The first obvious problem was of course this darkening of the ceramic sockets. Aha! It turned out to be nothing, this unit worked in a speaker shop where tons of fine sawdust will happen. The darkening was carbonized sawdust that had cooked under the output tubes for a few years. Easily cleaned up. So your author here forgot to take some pictures because he was in a hurry to turn this around. What was wrong? 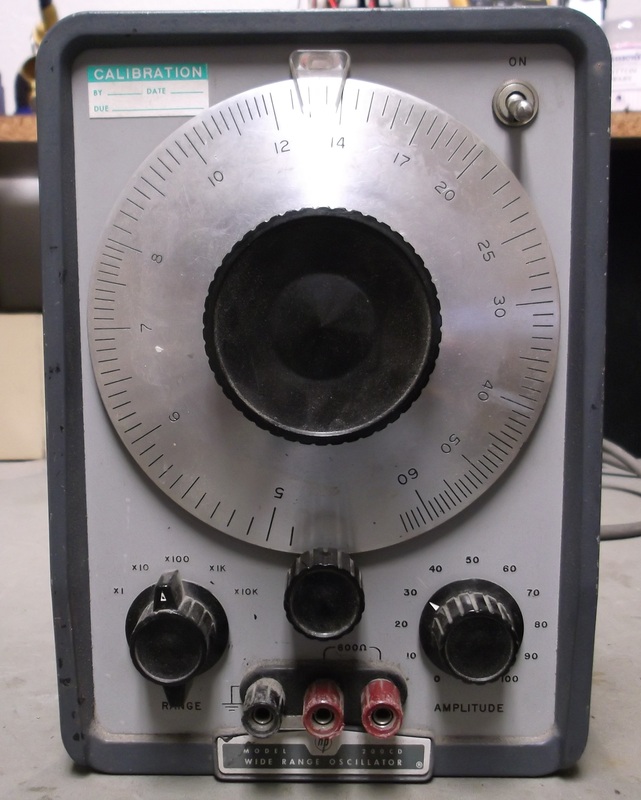 The unit would start up, then the output would become distorted and fade over a minute or two, and finally stop. The circuit used in this is a cross-coupled fully balanced oscillator, obviously tuned by the large variable capacitor you can’t miss in the pictures. In order to maintain said balance, the 6AU6 tubes and the 6CW5/EL86 tubes must be matched pairs. After some serious usage, these were not very matched. The 6AU6s had actually failed, but a fresh pair was taped inside the chassis! How nice! Also, on an eyelet board underneath the chassis, there are two large .5 uF coupling capacitors, of the variety known as “Black Cat”. 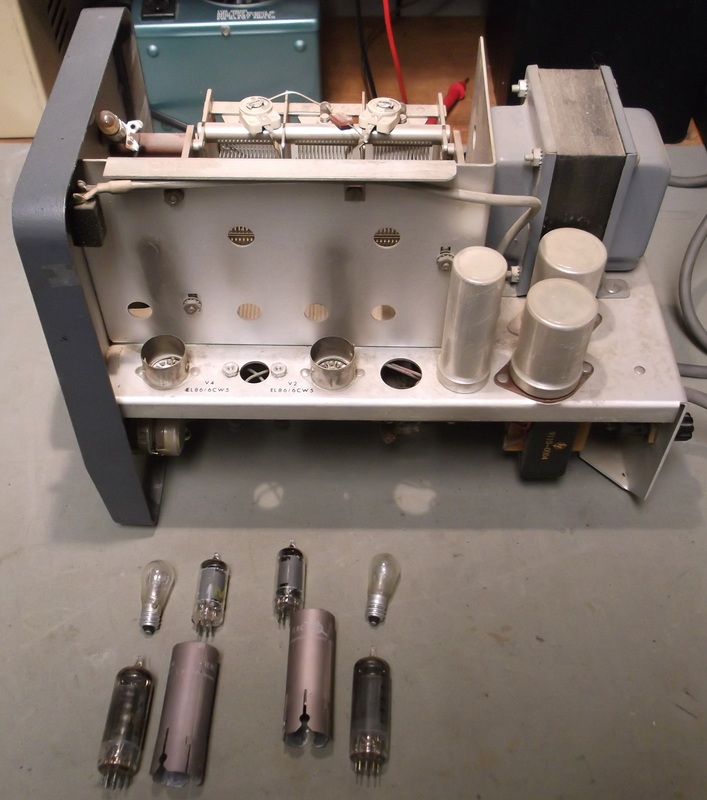 These old paper capacitors, even if they test OK on basic equipment, often have leakage. A capacitor bridge would show this leakage. This is an example of a circuit that simply can’t tolerate any leakage. 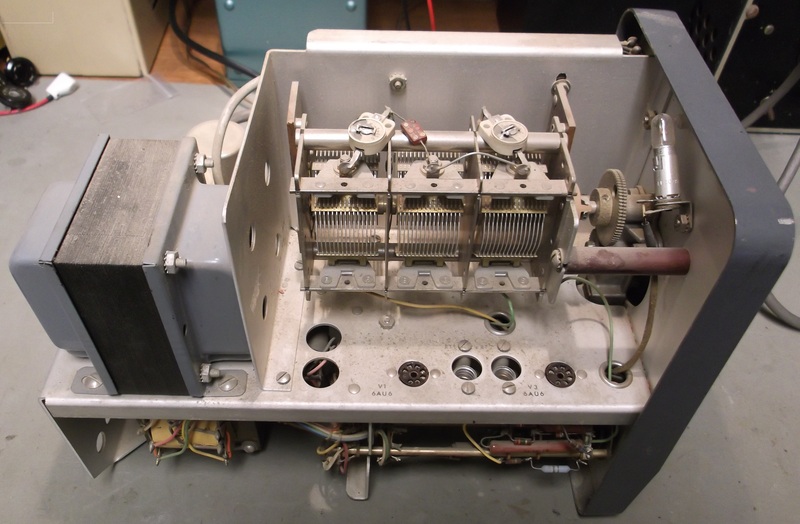 The repair: replace the tubes, replace those coupling capacitors, and clean the unit up. Done! I checked calibration against my own audio generator. They matched exactly.